The Independent National Electoral Commission (INEC) says it is ready to conduct the 2019 general elections, except for the delay in the passage of the election budget by the National Assembly. 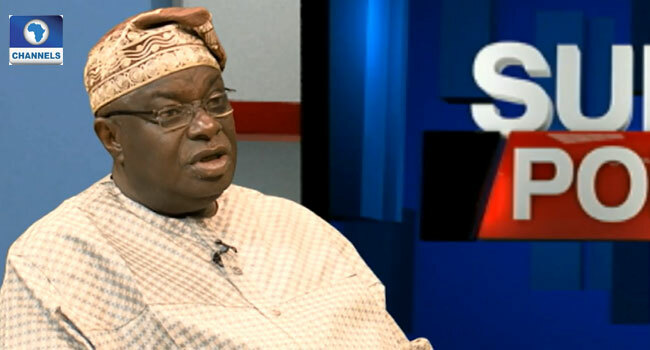 INEC National Commissioner of Publicity, Solomon Soyebi, stated this on Sunday during his appearance on Channels Television’s Sunday Politics. “On our part, we are ready (for the conduct of the 2019 elections). Don’t forget that we gave the notice last year,” he said. With the elections barely 159 days away, Soyebi explained that the delay in the budget passage is affecting the procurement of some electoral materials. His comments come nearly two months after President Muhammadu Buhari revealed that next year’s polls would gulp about 242.4 billion Naira. The President said this in a letter sent to the National Assembly in July seeking that the funds be drawn from the 2018 and 2019 budgets. In the letter, he explained that implementing a budget of 9.12 trillion Naira for 2018 will be extremely challenging adding that he did not consider it expedient to increase it, to accommodate the funds needed for the 2019 general elections. The budget is, however, yet to be approved since the National Assembly is currently on recess.